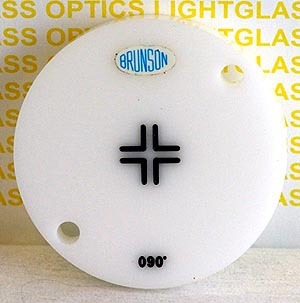 This Brunson Model 707-090 Paired-Line Target has the lines spaced .090" apart. It is 2-1/4 inch in diameter and is made of a durable translucent white acrylic. The target is precisely centered and is filled black on white for easy viewing. This will fit perfectly in A.I.A. Standard Spherical Mounts.